NHM Assam Surveillance worker vacancy. National Health Mission, Assam Has issued a notification of Online Application Form for Surveillance Worker Posts in NHM Assam. The Interested Candidates Can Read the Full Notification Before they Apply Online form. 2. Experience candidates in Health Sector is preferable in Field Surveillance Work of NVBDCP and other related programme. 3. The Weightage will be given to candidates who having previous work experience of similar nature in the Health and FW Department of Assam state. Candidate should Go through the notification for detailed eligibility criteria. The Selection will be totally depend on the basis of Interview. Candidates should log on to http://www.nrhmassam.in/. Let’s Go to “Career” and Select the desired post. First, Read the information carefully and Click on “Apply Online”. Select “Click here for New Registration”, if you are a new user here. After Registration, candidates should Log in with Registered Number and Password. Fill the complete details in theapplication and upload Photo, Signature. Take a print out of candiate there Online application for future use. 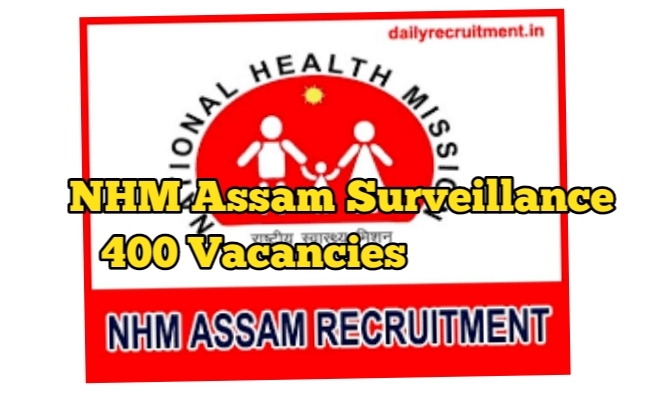 We hope you got all above mentioned points about NHM Assam Surveillance worker Vacancies.